League games – Action in the senior football league continues this Saturday when Coalisland visit Healy Park for the last home league game of the season. The Reserves are in action at 4pm and the seniors at 5.30pm. 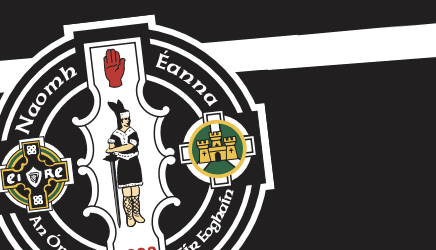 County final build-up – As preparations continue for the forthcoming county final on Sunday 28th September, any club member or supporter who would like to assist with any ongoing preparations – practically or financially – is invited to contact club chairman John McElholm on 07921 577319. A special Poker night will be held in the clubrooms on Friday 19th Sept at 8pm. Entry fee is £5 and everyone is invited. Club Omagh – Applications for Club Omagh membership are also being taken. Details on Club Omagh action plans are available from the club website and everyone is encouraged to get behind the plans for club development. Healy Park finals – Healy Park will host the Tyrone senior and junior hurling finals this Sunday commencing at 1.30pm with Shamrocks v Naomh Colum Cille and then the senior final at 3.30pm between Carrickmore and Dungannon. All club stewards are requested to report to the clubrooms for 11.30am to assist with the event. Tidy-up – Anyone who is free to assist with a general tidy-up and maintenance of Healy Park and the clubrooms is invited to come along each evening from 7pm. Contact John McElholm for details 07921 577319. U16 football – The U16 boys footballers play in the championship this Sunday with a home game against Derrytresk at 6pm. A good support for the team would be appreciated. The girls U16 team travel to Pomeroy this evening (Thurs) for their latest league game at 7pm and they are again in action on Sunday in St. Patrick’s Park at noon against Beragh. U13 football – The boys U13 A team play Errigal Ciaran tomorrow (Fri) at 6.45pm in St. Patrick’s Park in their latest league outing. The U13 Devs are away to Aghaloo. U14 Hurling – Well done to the U14 hurlers who finished their league campaign on a high note with a win over Cappagh on Monday. This was a successful year for the team which also won the Tyrone Feile Shield. The U13 hurlers will continue with their Ulster league blitz games on Saturday and face a trip to either Lisbellaw or Dungloe. U8/U10 – This Saturday the U8 footballers will attend a Tyrone blitz in Garvaghey while the U10 footballers and hurlers will train in St. Patrick’s Park at 10am. Camogie – The Camogs train in St. Patrick’s Park on Friday at the earlier time of 5.15pm. All-Ireland tickets – Requests by fully paid up club members for All-Ireland football tickets and hurling final replay tickets should be texted to club secretary Paul Breek on 0780387655 by 9pm this Saturday. No requests will be taken after this date. Due to the limited number of tickets available there will be one ticket per Club member and we cannot guarantee a ticket for everyone.